The Australian Catholic Bishops Social Justice Statement 2011-2012 “Building Bridges, Not Walls”, raised similar concerns as Pope Francis. Both urged us all to think about the conditions in our prisons, and to ask who are most likely to find themselves there. Between 1984 and 2008 the number of Australians in prison per 100,000 people almost doubled. Over that time, however, rates of crime either stayed steady or fell. The majority of Australian prisoners come from the most disadvantaged sections of the community; Indigenous people, the underprivileged, those suffering from mental illness. Given these facts we must ask if the justice system is truly delivering justice to our community. In raising these questions, in no way am I seeking to justify crimes or minimise the terrible impact they can have on innocent people. However the question must be asked why there are so many in Australian jails; whether there are constructive alternatives to imprisonment, and what it being done to help prisoners lead productive lives once they have served their time. Many Aboriginal people enter jail several times for minor offences – the most common being breaches of public order, driving offences, license breaches or debt welfare and family law offences. The question must be asked why Aboriginal people are arrested much more frequently than other people in Australian society. In the last decade the number of women in prison has doubled. Much of the hardship suffered by women in prison is related to the role of women in Australian society. They are often rejected by family, friends and the community who consider them as failures. Many women prisoners are single mothers, and it is often difficult for them to arrange for their children to visit. In 2007 a World Congress of the International Commission of Catholic Prison Pastoral Care took place in Rome, speaking at the Congress Pope John Paul II said “The world does not need walls but bridges”. He strongly advocated for justice that restores, heals and protects, a just that makes the offenders accountable for what they have done; a justice that provides restitution to the victims who are most of the time ignored and forgotten; a justice that engages the community in facilitating the healing process, leading to the re-integration of the victim and the offender to the community. In the Gospel today we are reminded that no matter how deep our grief, our faith in the power of God’s love must be stronger than death. It is an expression of our hope in the resurrection; that just as God our Father raised Jesus from the dead, so he will raise all those who belong to him. On this day of jubilee for Prisoners we are reminded that we are “followers of the Risen Jesus”. Our belief in the resurrection shows us that to God, life is absolutely important. God created us for life, not death. Our God is a God of the living, Jesus tells us and what we do with our life determines our future life with God. To believe in the God of Abraham is to believe in the God who wants all to live. It means that we will strive to defend life and oppose everything that diminishes life or robs people of life in any way – whether such attacks come in the form of physical violence or oppression, or injustice or inequality. Faith in the Resurrection lead the seven brothers to resist the evil king; it lead Jesus to the Cross. For Christians, it leads us to value life in the here and now and to defend life for all – especially those whose quality of life is most threatened. 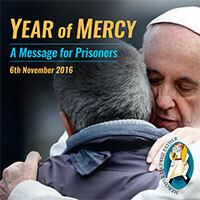 With this in mind we hold up to the Lord all Prisoners and their families; and pay tribute to the untiring work of Prison Chaplains.